A double glazing firm has been fined £850,000 after a window-fitter fell and broke his knee cap in Doncaster. The worker was attempting to install a window on a first-floor back bedroom at a home on Cemetery Road when the ladder he was climbing slipped. He fell more than three metres to the ground, breaking his knee cap, and required surgery following the accident on March 1 last year. An investigation by the Health and Safety Executive (HSE) found Safestyle UK had inadequate measures in place to ensure the safety of staff working at height. Windows were not routinely installed from the inside, the watchdog found, the way ladders were used constituted a 'serious risk' and there was no system of monitoring or supervising fitters. H.P.A.S. Limited, trading as Safestyle UK, of Eldon Place, Bradford, admitted breaching the Work at Height Regulations 2005. The company was sentenced at Sheffield Magistrates' Court on Tuesday, when it was fined £850,000 and ordered to pay £1,083 in costs. 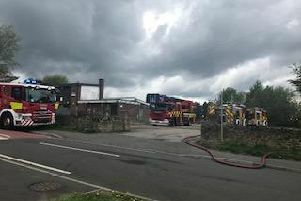 Speaking after the hearing, HSE inspector Stuart Whitesmith said: "This incident could easily have been prevented had the company implemented reasonably practicable precautions. "Such precautions include having effective and enforced safe systems of work, whereby windows are installed internally where possible, or by using suitable access solutions which provide edge protection, and having a formal system in place to ensure works are appropriately supervised."